Jonathan & Amy: WE BEAT MARYLAND!! 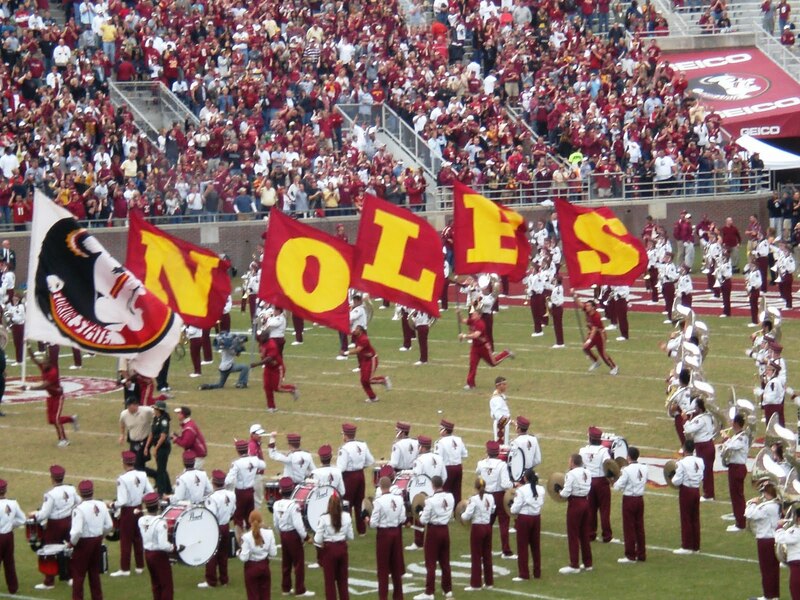 I won't lie to you... the Seminoles have been having a very rough season. 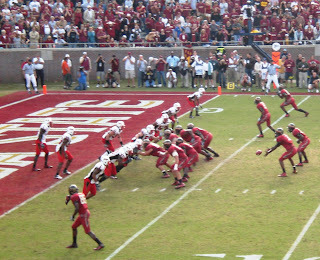 But, Jonathan and I were both really looking forward to the Maryland game (which was good... because it really seemed that very few people were giving FSU a chance that day). It was a noon game, and since we didn't land and get home to Melbourne until after 1am the evening before, it was rough dragging ourselves out to the car to make the drive at 6:45am.We really wanted to get to our seats by 11:30am since they were doing the senior send-off and also some special things for Mickey Andrews, since he is retiring at the end of the season. We didn't quite make it, and got to our seats about 11:53, just in time to grab some chicken tenders before singing the National Anthem. The people directly on both sides of us weren't present, but other people spread out so we weren't alone or anything. The game itself had good moments and bad moments, of course. Notably, neither of us could think of another time in history that we had NO penalties. Now, there were penalties taking place, but they weren't being called (on either team). 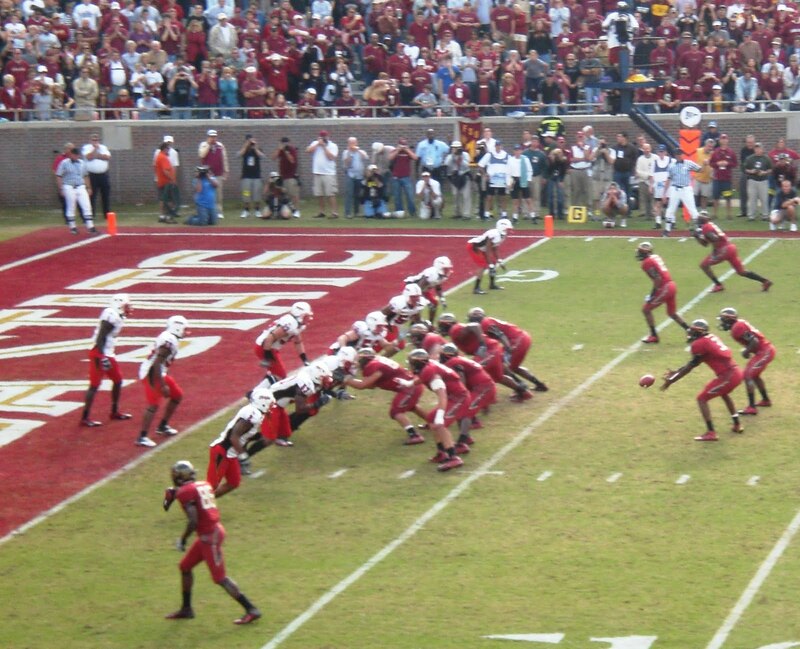 But, at the end of the game, FSU had ZERO penalties... a miracle, really. LoL. (we found out later that this hasn't happened in over thirty years.) The game was pretty close for the majority of the time, but there were moments in the fourth quarter where it really looked like we weren't gonna be able to pull it off. 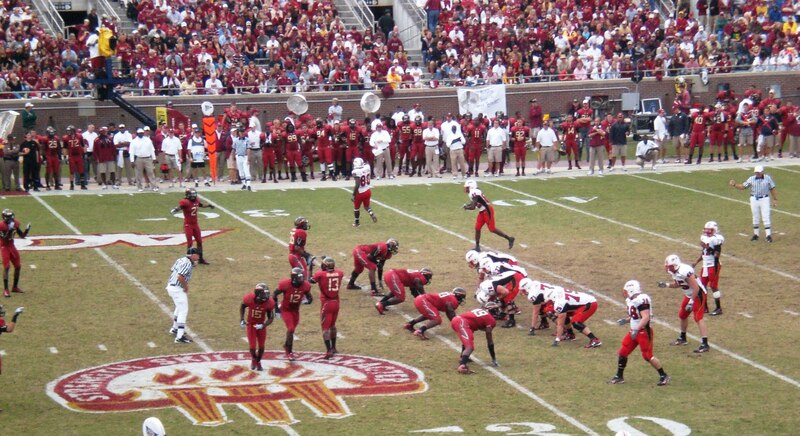 We held strong tho, and managed to make some big plays to score a touchdown with less than 90 seconds on the clock. Our defense came through and we won the game. Not only was this the first game that Jonathan and I had been to this season where we won, but it also makes us Bowl eligible, and we continue to maintain the longest bowl streak of all schools in the nation. This game was also interesting for two other reasons. One, we debuted some new uniforms. They're not beautiful, and they'll take some getting used to. 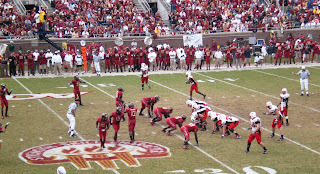 Of course, I am partial since I think our regular uniforms (home and away) rock. I got a few decent images of them in action. 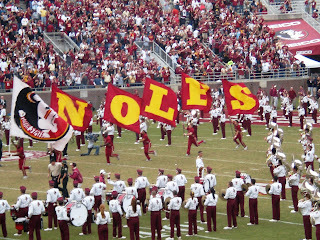 The other special event was the band playing the fight song at half time. Ordinarily this is nothing worth mentioning, but the conductor this time was none other than Tommy Wright. I had the honor of being one of Professor Wright's (19th & 20th centuries music history) students during my final semester in undergrad, and I can personally vouch that the man is brilliantly amazing. 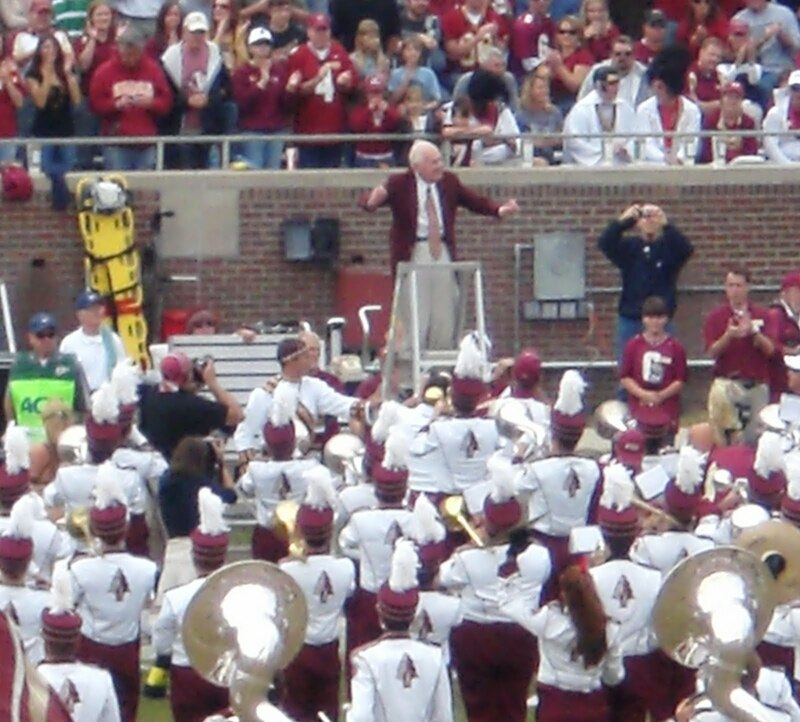 He wrote our fight song in 1950, and the school has used it ever since the homecoming game of that year. He is also the profile upon which our current logo is based. Apparently Dr. Wright had never before directed the song (I'm not sure if I truly believe that... wouldn't that be strange? 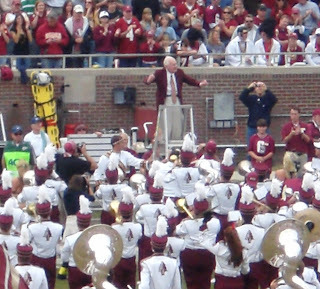 ), and he recently retired from Florida State (he seriously taught there for about sixty years), so it was a privilege to be there to see this once-in-a-lifetime performance.